Mouth-watering Grilled Turkey Burgers topped with fresh pesto, spicy arugula, and creamy mozzarella cheese. How does that sound for The Big Game? The Super Bowl is upon us, but that doesn’t begin to describe what is around the corner. Some may travel to Atlanta on “The Midnight Train to Georgia” and be front and center watching the Georgia-born Gladys Knight perform “The Star-Spangled Banner” while MILLIONS will be tuning in from home. Either way, this traditional event will include food, booze, and fellowship while we enjoy this Battle for the Pigskin! There are those who are not football fans but let’s face it, they will watch specifically for the amusing, humorous, or sometimes heart-warming commercials and a headlining performance from Maroon 5 at halftime, joined by Big Boi, Outkast, and Travis Scott. In the midst of this excitement, you don’t want to be cooking all evening and miss all the hype. 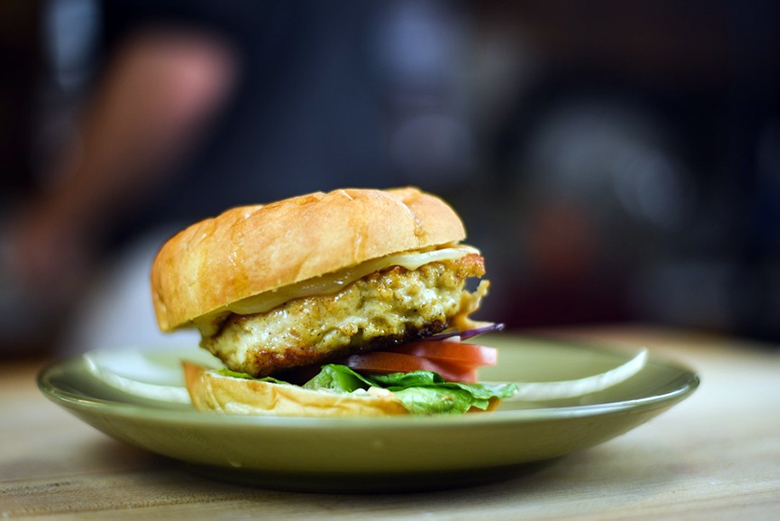 Therefore, keep it simple and savory by following the step-by-step recipe below to make Ground Turkey Burgers complemented by fresh basil and parmesan pesto. White Oak Pastures Turkeys are Certified Non-GMO, Rated a Step 5+ in the Global Animal Partnership, and Certified Animal Humane. They spend their entire lives roaming the pastures. All the while, they are hunting, pecking, scratching, and dust-bathing as nature would have it. Because of their diet and lifestyle, our birds are lean, healthy, and delicious. 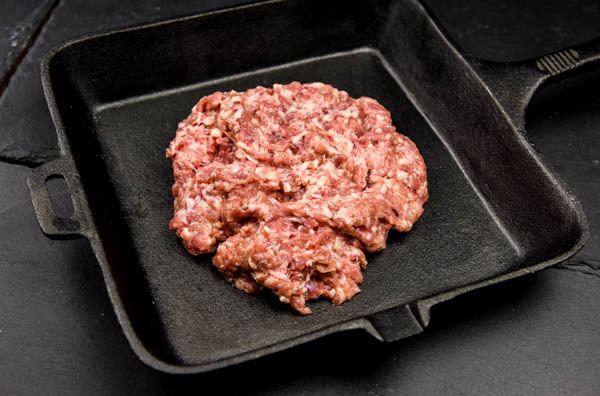 Visit our online store today and order our dark and white meat Ground Turkey and pat those patties out for your Grilled Turkey Burger. If you have little ones, they will love the Ground Turkey Sliders! Pre-heat grill to high heat. In a medium bowl, mix ground turkey, sun-dried tomatoes, parmesan cheese, grated garlic, and salt and pepper, using your hands. Grill turkey burger patties over high heat until cooked through, about 3-4 minutes per side. During the last minute of cooking, top each burger with one mozzarella slice and heat until slightly melted and bubbly. Place burgers on split buns and top with pesto and arugula, then serve. Our ground turkey is a delightful mix of both white and dark meat that many use as a substitute for beef or chicken in their grind recipes. If you have never tried it, you don't know what you are missing. This item is portioned in 1 pound packages.